Monochromatic: Thumbs up or down? What Do French Women Have That We Don't? Men in Glasses: Thumbs up or down? Honey, look what I made for dinner! Loafers: Thumbs up or down? Ushanka: Thumbs up or down? How do French women stay in shape? Hot 'n' hairy or just plain scary? 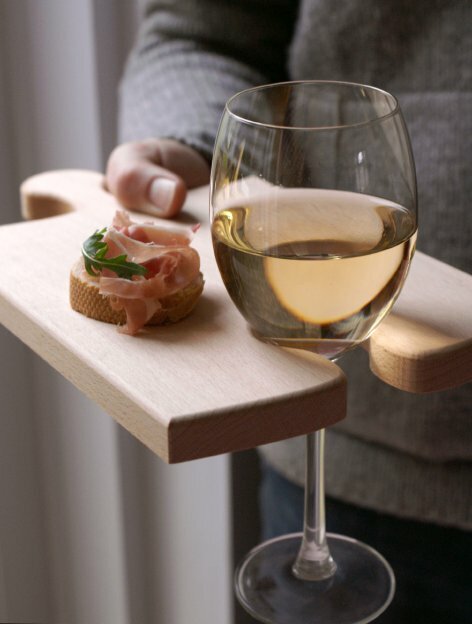 Cheese board perfect for wine and cheese parties or cozy evenings in, while watching telly. ($40). (Also in this colour). 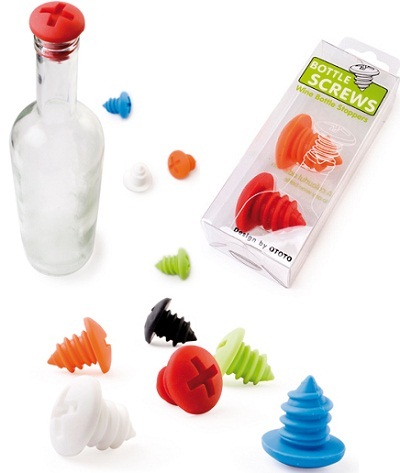 Cool and colourful wine bottle screws that are super cute and fit most of the bottle types. ($10 for set of two). 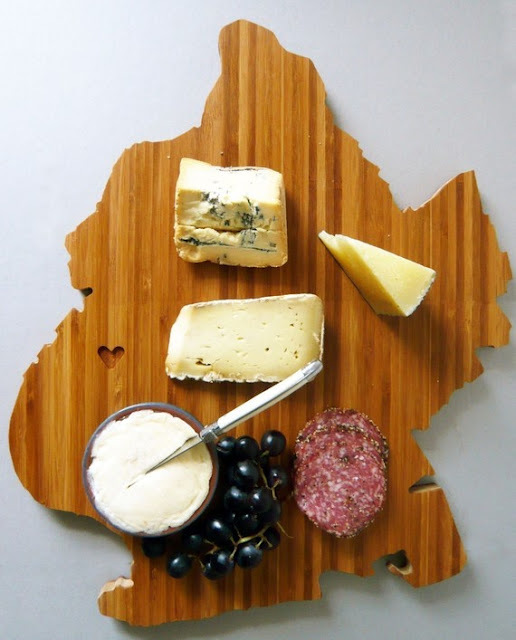 Brooklyn shaped cutting board perfection. ($40). They have a whole selection of different cities and states. 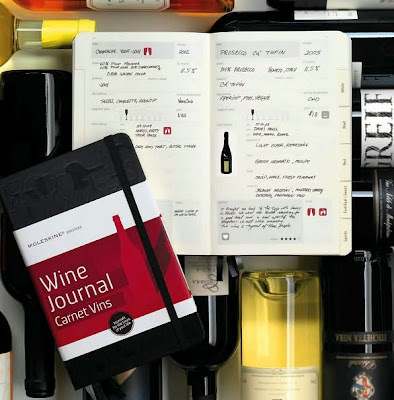 A fun wine tote with their favoruite wine inside. Perfect as a stocking stuffer ($13). 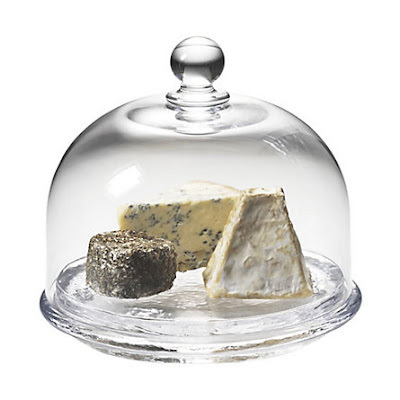 A stunning cheese base for those who always have some stinky cheese at home:) ($125). 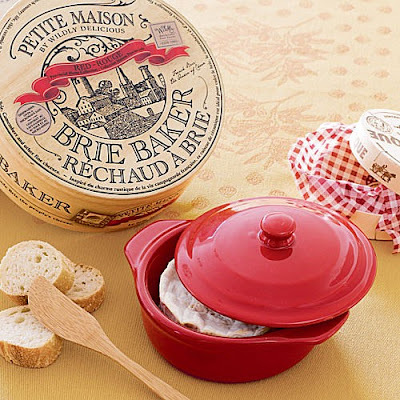 You could also include a selecion of their favoruite cheeses as an extra. (Just an idea). Oh boy! Here is a cute little animation about yoga for wine lovers that Balazs sent me over this morning. (Giggle). P.S: More gift ideas for best friend, husband/boyfriend and coffee - tea lovers. 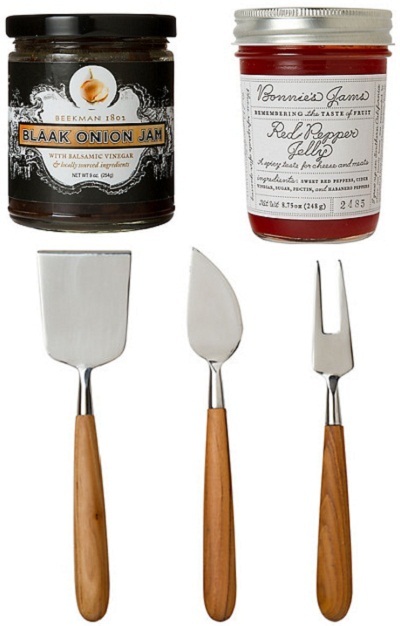 P.P.S: The whole last years' exPress-o Christmas gift guide. 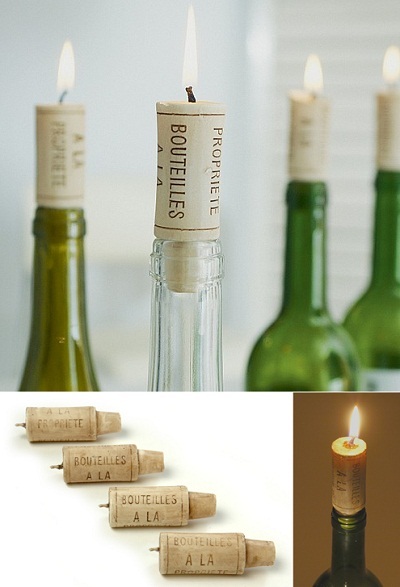 I love the cork ideas on this post! I have a huge glass jar filled with them, i love to collect them. What fantastic ideas!!! I have never seen the puzzle tray before. Fabulous!!! awesome picks! i love the screws and carafes. Okay I love them all. 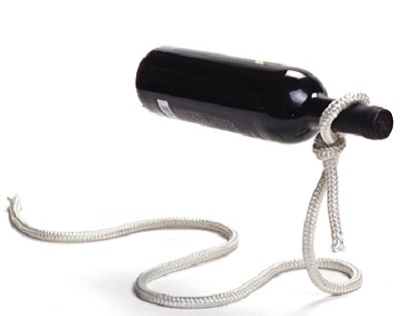 Especially the lasso wine holder. The photo you picked for the wine tasting is priceless. 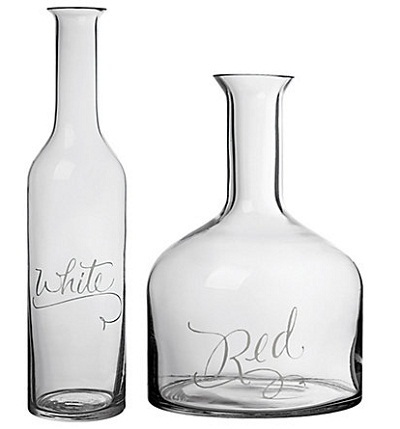 oh ordering the wine totes asap! thanks! Cheese is my downfall, so this is perfect!!! 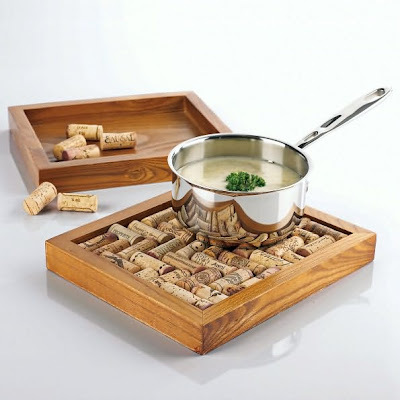 I love, love that cutting board...and cheese and wine are my favs, seriously. i love everything on this list! 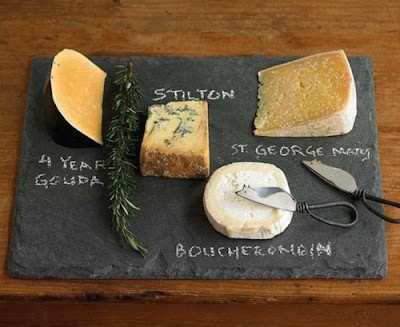 I love those slate cheeseboards, I keep meaning to get one, such a great idea for parties. Patricia, me too. I have tons of wine corks at home...giggle. Thank you so much for linking my post. Im going to check it out right now. I am definitely going to be buying a few of these items! 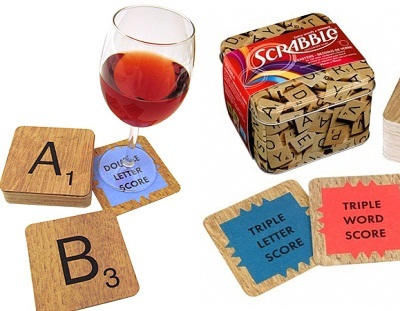 Oh goodness, I NEED those Scrabble coasters! Not a stinky cheese fan, but I shall say YES to wine. Giggle, Bella. I love that photo too:) And Mal, I got one for myself a few months ago and I love it! seriously, you're killing me with these links!! do you know that most of them don't ship to europe...? 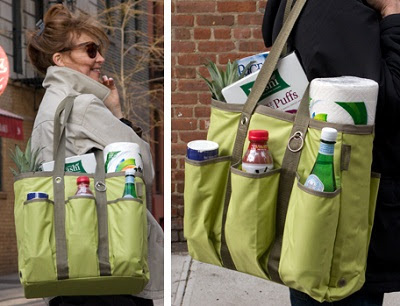 I'm going to get my brother the wine tote - thanks! I'm so glad I stopped by! I am just bursting with gift ideas now! haha yoga for winelovers! :D so funny! my favourite thing is puzzle board:)fantastic! 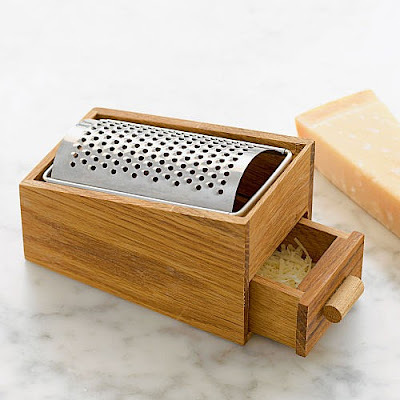 the mouse cheese knifes are so cute - i want a set! who doesnt love wine & cheese? loving those bottle screws! love the corks. hope your holiday was nice. especially love the 1st 2 ideas!! I love all Christmas gift ideas thanks for sharing this awesome ideas.